(Reuters) - For those who have been hiding assets overseas from U.S. tax authorities, knowingly or not, the news that Credit Suisse will turn over names and account details of certain U.S. clients to the Internal Revenue Service could be the beginning of the end. The IRS, aggressively seeking to bring taxpayers with offshore assets and income back into the tax system, offered several rounds of voluntary disclosure windows to induce taxpayers to confess. The last window closed on September 9. Now those with undisclosed foreign assets, who did not take advantage of the amnesty, should seek tax advice immediately. "The advice to someone over in Switzerland is to run like hell for the nearest tax lawyer to discuss whether it makes sense to do a voluntary disclosure," says Dennis Brager, a Los Angeles tax attorney with Brager Tax Law Group, who specializes in tax controversies. Those who need to come forward include U.S. taxpayers with numbered accounts in Switzerland, Americans living overseas, including retirees, and immigrants in the United States who have maintained financial lives overseas. 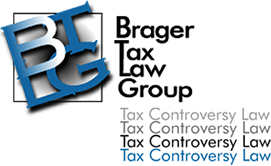 Though the window has closed, taxpayers with undisclosed foreign assets may still be able to file a traditional voluntary disclosure that would allow them to avoid potential criminal prosecution, Brager says. There are important differences between the specific voluntary disclosure programs and a more traditional voluntary disclosure. For one, the specific voluntary disclosure programs spelled out penalties. "Taxpayers who do not submit a voluntary disclosure run the risk of detection by the IRS and the imposition of substantial penalties, including the fraud penalty and foreign information return penalties, and an increased risk of criminal prosecution," the IRS notes. A person convicted of tax evasion may face up to five years in jail, according to the IRS. Credit Suisse, Switzerland's second-largest bank, began notifying clients suspected of offshore tax evasion that it intends to turn over their names and account details to the IRS, with the help of Swiss tax authorities. The move follows a recent formal request for the information from the IRS, according a copy of the letter obtained by Reuters. The effort to round up tax evaders comes as the U.S. government is trying to balance the budget and cut the deficit. Decreasing the tax gap -- the difference between the amount of tax owed and the amount actually paid by taxpayers -- is one of the few relatively easy ways to bring in more revenues. Those who voluntarily disclosed their failure to report foreign bank accounts on the FBAR, or foreign bank account reporting form, during the latest program, generally owed 25 percent of the highest aggregate balance between 2003 and 2010. The FBAR filing is required for any U.S. citizen with at least $10,000 in a foreign financial account. But the penalties are far more severe if the IRS finds you did not file an FBAR, especially if the violation is categorized as "willful." In that case, the monetary penalties may run up to 50 percent of the amount in the accounts, or $100,000 for smaller accounts, according to Baker Tilly, an international tax and accounting firm. That means, if you never told the IRS about the $2 million stashed overseas, you might say goodbye to $1 million of it. Between the two amnesty efforts in 2009 and 2011, some 30,000 taxpayers have come forward. The IRS announced that it had collected a total of $2.2 billion from people who participated in the 2009 program, and an additional $500 million so far (a number that does not yet include penalties) from those who participated in the 2011 effort. For U.S. citizens who have not paid taxes on substantial offshore assets, the hope of hiding from tax authorities seems increasingly unlikely. Says tax lawyer Brager: "I keep telling clients the same thing, 'I don't know if you're going to get caught, or how you're going to caught, but if you do, you're not going to like what happens next.'" The author is a Reuters contributor. Opinions expressed are her own.